Take a look at the latest preview of what’s coming in October for Privateer Press. Spoiler alert–it’s mostly Trenchers. The Trenchers are coming. The Trenchers are coming–due out in October, we are seeing the first wave of models out for the new Trencher theme force. As well Menoth and Cryx are getting a couple of solos, so keep your eyes peeled for more treachery following not long after. A decorated war hero of the Exemplar errants, Warder Elias Gade leads his team of pious knights on crucial missions into enemy territory. 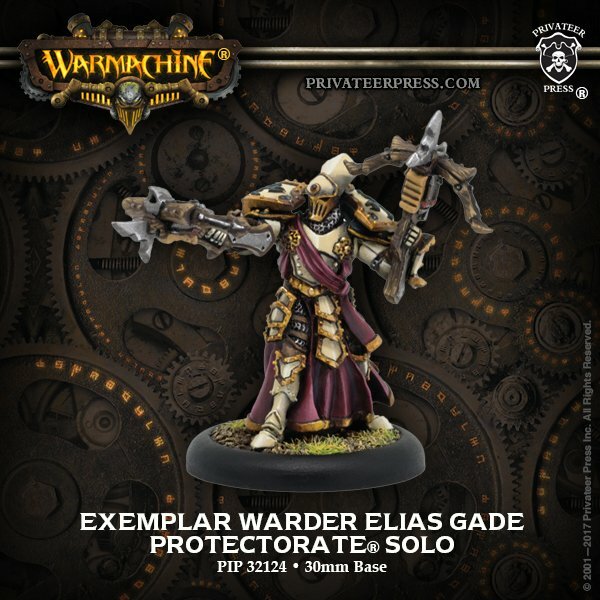 Operating far from the Protectorate of Menoth, Gade relies on a lifetime of battlefield experience and his unshakable faith to secure victory. The whistling of his blessed crossbow bolts have presaged the deaths of countless unbelievers, and by his hand many more will fall. No journeyman’s life is without peril, but some brave men and women opt to take a nobler and more dangerous path. Enlisting in the trencher corps upon completion of basic warcaster training, these junior warcasters specialize in wielding magic to aid their fellow soldiers. Trencher warcaster lieutenants bunker down with the grunts and help secure crucial ground on the field of battle. With the aid of the warjacks they command, these soldiers can often turn the tide of battle. 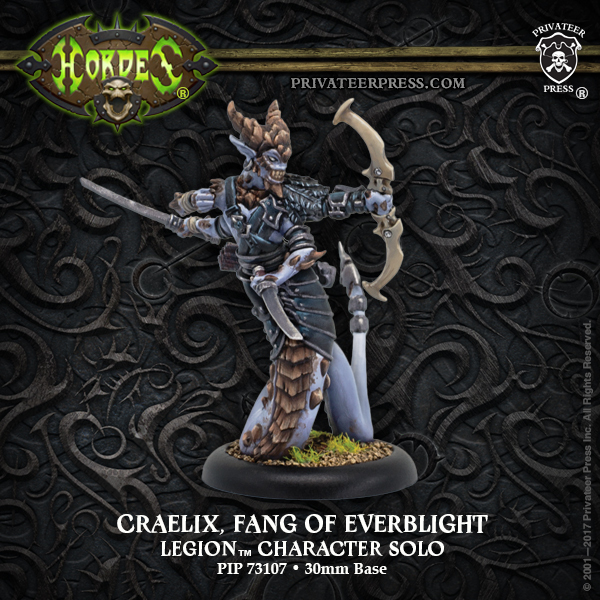 A twisted entity of blighted flesh, the misshapen creature called Craelix, Fang of Everblight is a poisoned arrow in the heart of the dragon’s enemies. Born from proven bloodlines of succubi, Craelix manifests the best qualities of his kind. His fangs weep venom that he uses to coat the barbed arrows he looses upon the enemy. This blight-infused poison spreads through his victims at blinding speed, rotting both flesh and spirit. 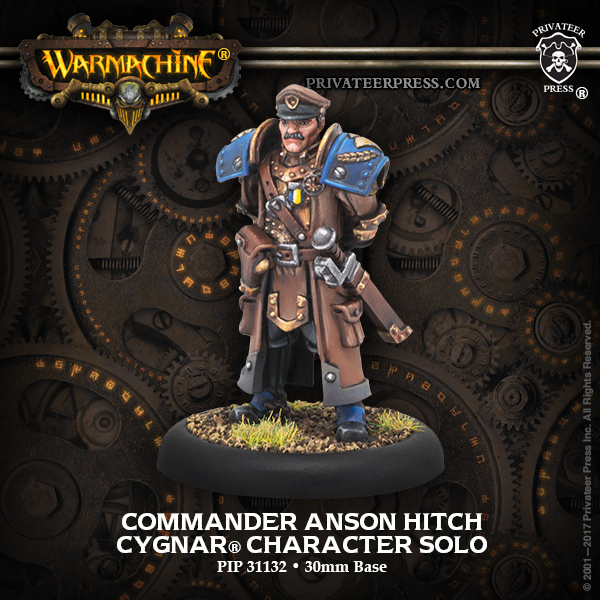 Commander Anson Hitch is a stern and uncompromising leader who has so thoroughly internalized the trencher creed that it might as well be the air he breathes. As a commander in the First Army, he has little interest in politicking or glory seeking. Hitch is a trencher, ready to join his men in the mud and intolerant of cowardice in his brigade or indecisiveness in his officers—or in himself. Soldiers under his command are expected to fight to their last breath, taking no prisoners and relinquishing no ground. 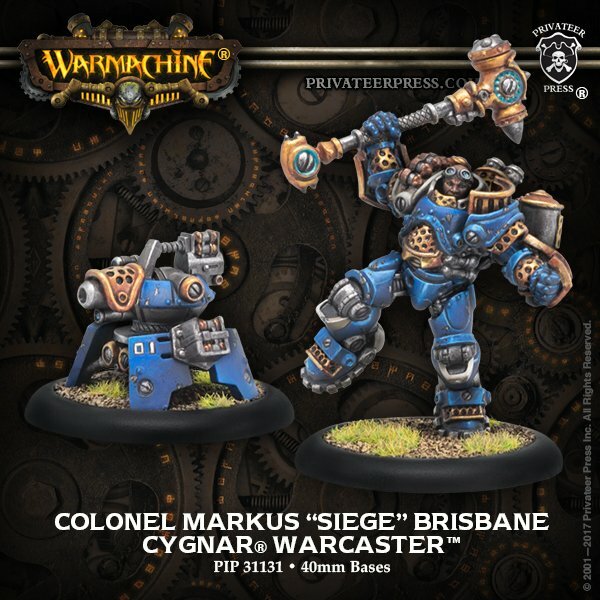 If there is one warcaster the trenchers would call their own, it is Colonel Markus Brisbane—the most decorated and universally respected of Cygnar’s veteran battle mages. Brisbane is a pure soldier through and through, a man who has never shrunk from danger or responsibility and who has earned a reputation for pragmatism and absolute dedication to the army. Equipped with state-of-the-art weapons and equipment, Colonel Brisbane shatters the enemy’s lines and marshals his own troops to victory. 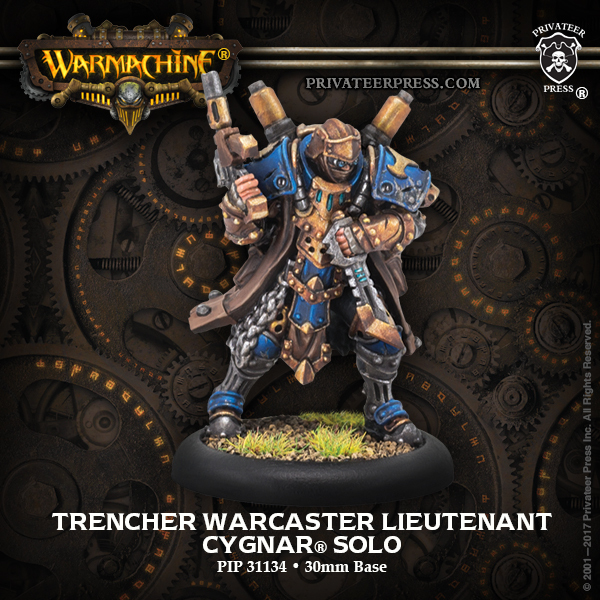 The trenchers of Cygnar are among the most tenacious soldiers ever to take the battlefields of the Iron Kingdoms. The first into the fight and the last to leave it, the soldiers of the Trencher Corps form the vanguard of Cygnar’s army, holding ground against all odds on behalf of their comrades in arms. Any enemy who tries to assault their fortified positions faces a force of tough-as-nails troopers ready to cut them down with rifles, bayonets, and even the blades of their shovels. Take command of these veteran soldiers with this box, which contains a full complement of trenchers ready to support your warcaster’s battlegroup. Dig in and hold the line!